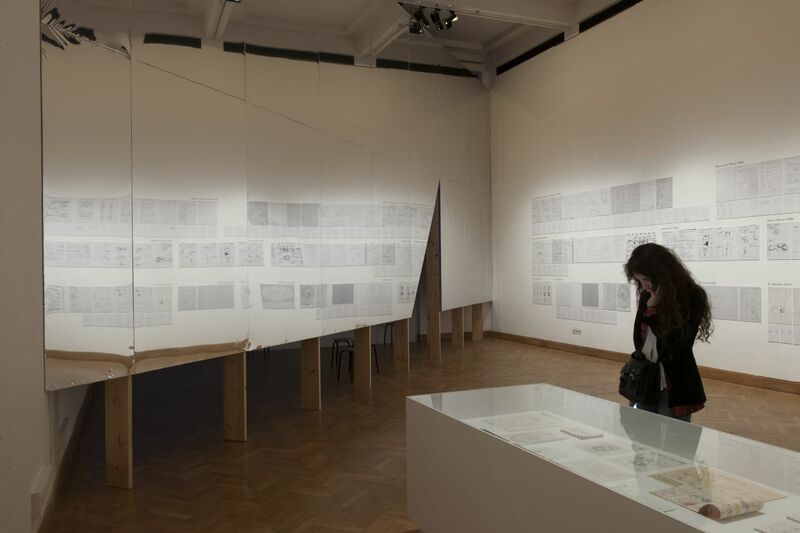 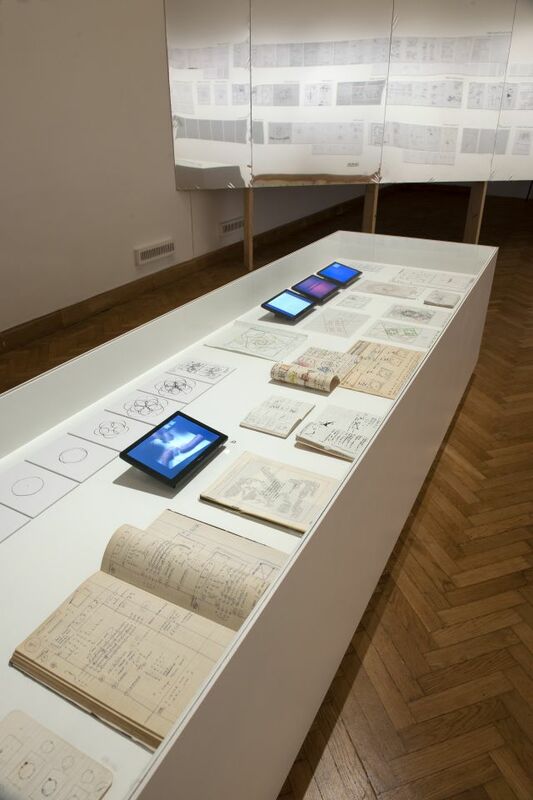 Work on Paper presents drawings by choreographer Anne Teresa De Keersmaeker. 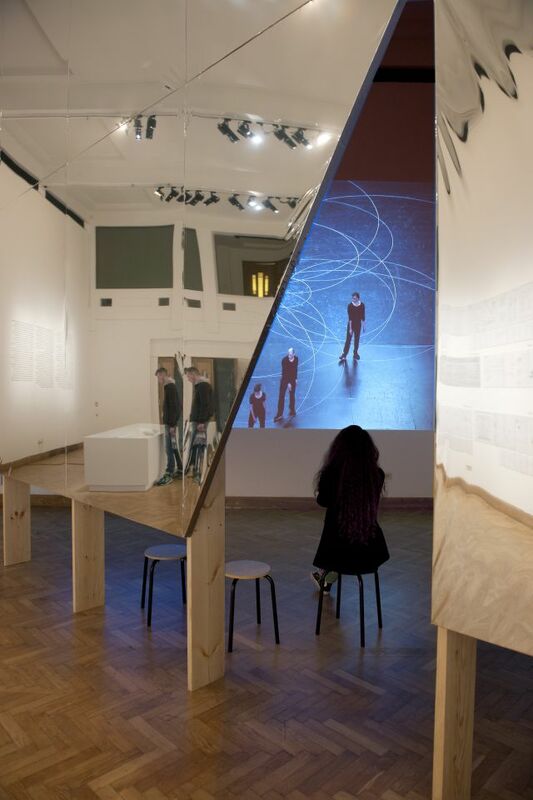 From Violin Phase to Vortex Temporum, all of De Keersmaeker’s pieces have been constructed on geometric floor patterns. 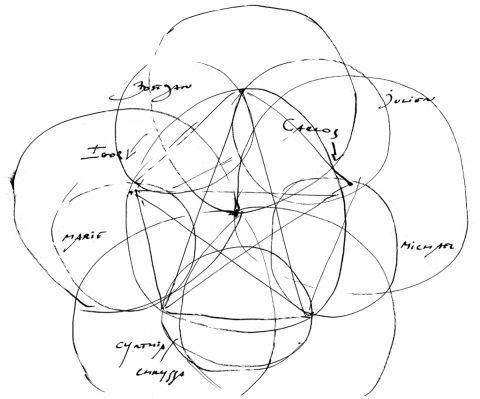 Based on humankind’s earliest practices of geometry — drawing circles in the ground around a fixed point — Violin Phase took place on a circle, later also on a circle in the sand, marking the choreographer’s first geometrical gesture on stage. Work on Paper chronicles the formal practices of De Keersmaeker from this point onwards, wherein fundamental geometric proportions provide an immutable counterweight to the ever-changing dynamics of the dance, and lend delineated form to the expressive power of the dancing body. 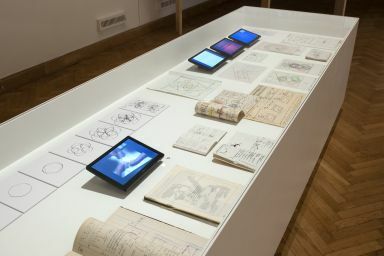 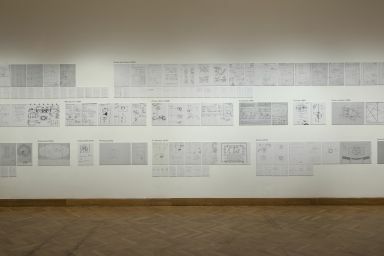 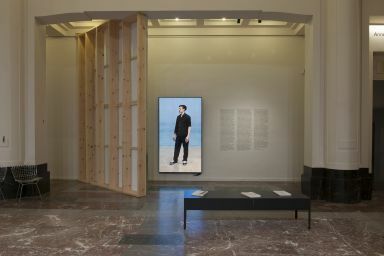 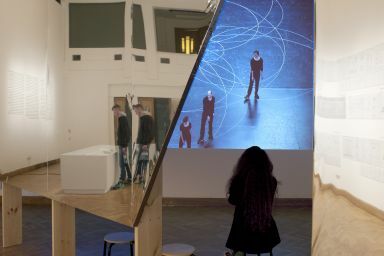 Work on Paper at Bozar coincided with the Work/Travail/Arbeid exhibition in WIELS, where Anne Teresa De Keersmaeker reinterpreted the choreography of Vortex Temporum for the unique temporal and spatial characteristics of a museum space.